In appreciation for the business that Gary Davis has sent me over the years I've put together some special private offers just for members of the JRK group and your friends, family, and associates. Watch the video for information and contact me direct if you have any questions. Thanks a ton! 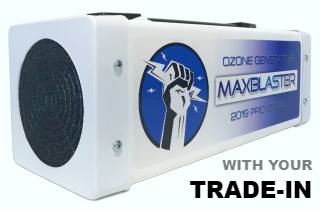 Trade-in your current MaxBlaster and upgrade to an all new 2019 PRO or PRO-G Edition ozone machine. 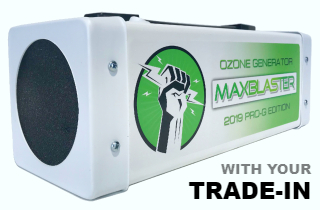 This is a great option for those whose current MaxBlaster may be showing signs of heavy use or reduced performance after years of use. It doesn't matter the condition of your current machine. The process is easy. Just complete the checkout and I will email you instructions on where to ship your current machine. *Prices include shipping (to you) and tax. 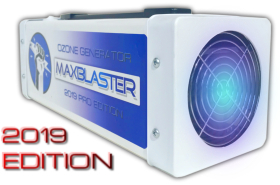 There are no additional costs other than you paying to ship your current MaxBlaster back to us. I will email you instructions. 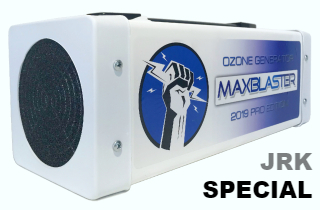 Maybe you'd just like to add an extra ozone machine to your arsenal in order to speed up treatment times and cover larger (or multiple) spaces at one time. Or maybe you have a friend, associate, or family member who would like to take advantage of this special offer. Either way, this is a special "best price" offer on our new 2019 PRO and PRO-G Edition machines. Feel free to share this page with anyone in your network!